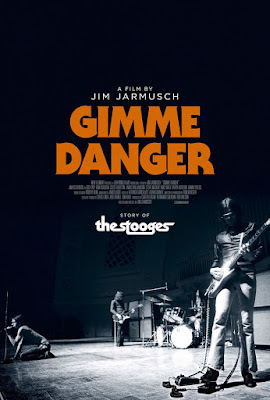 An advance screening of Gimme Danger, the new film about the Stooges, has been announced. The evening features the film screening followed by a discussion with Iggy Pop and director Jim Jarmusch moderated by Detroit's queen of the airwaves Ann Delisi. The exclusive event takes place October 25th at the Detroit Institute of Arts and tickets are on sale now. Gimme Danger officially premieres at the Detroit Film Theater at the DIA on October 28th. Showtimes are posted below and tickets are available here. As previously reported, Iggy Pop and Don Was will be discussing their wild and distinguished careers at the Majestic Theater on October 23rd. Tickets for Living Histories Live: An Evening of Storytelling and Performance are available here.